The exponential growth of social media platforms like Facebook, Twitter and LinkedIn have dramatically changed the process by which businesses connect with their market and expand their reach. With a virtually endless supply of information describing WHAT type of content is most effective for engaging with potential clients, understanding WHEN to post that content can be just as crucial to producing quality results. Available technology continues to offer new ways to find the perfect time to publish for your network and can be the last piece of the puzzle that opens the floodgates to your online audience. By keeping track of your publishing timeline and its direct impact on your business, you will be able to maximize the success of each post to your social media accounts. The tools below are designed to help you find the perfect time to publish by analyzing data that provides insight for your most productive times of day. Timing+ is a diagnostic program that analyzes your historical post data on Google+. By monitoring the response rates to your posted Google+ content, Timing+ is able to identify high activity instances to capture a window of time (day and hour range) when your posts consistently reach the largest audience. Understanding and applying such useful data will grant you better access to your audience, and ensure that you’re reaching the right people every time. Trial and error becomes a thing of the past when you allow Timing+ to find the perfect time to publish your content so that your prospective clients are most likely to engage. By monitoring your tweets and the response rate of your followers – i.e. retweets, favorites, shout outs, replies – it will craft a detailed list of both the time of day and the days of the week where your tweets will be most visible and easily accessed by your audience. Optimize your Twitter scheduling routine by applying this data to your workflow and you’ll find your business consistently engaging with prospective clients at their convenience instead of yours. This proactive strategy will help you develop specific campaigns, so that you’re not just treading water by tweeting out content that quickly gets lost in the fast paced nature of Twitter. Save time and energy by honing in on when your market is online and avoid the time frames when your tweets will hear crickets. 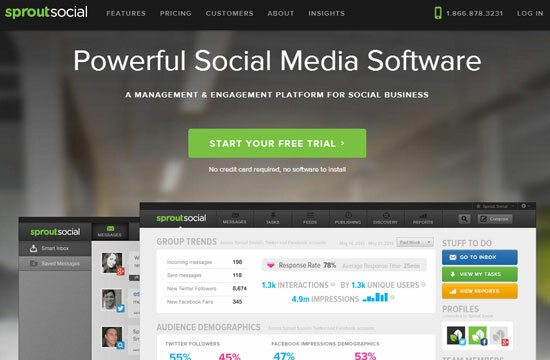 Sprout Social is a powerful engagement tool that allows you to manage your social media platforms from one simple location. Facebook, Twitter, Google+ and LinkedIn can all be monitored at once, saving time and energy while also allowing you to focus more of your efforts producing quality content and less scheduling them. Sprout Social uses a specific program called ViralPost, which analyzes your followers’ engagement patterns in order to find the perfect time to publish your content. By collecting information across multiple social media platforms in one program, it will not only streamline your workflow, but create exponentially more powerful data to enhance your communication with your client base. 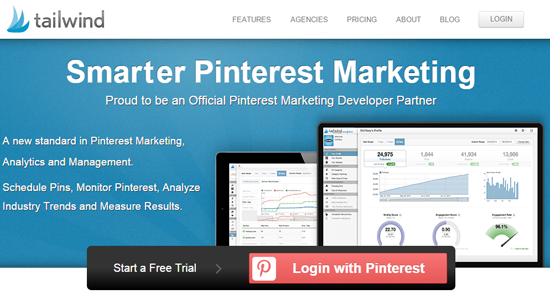 Tailwind is a program specifically designed to keep your Pinterest account organized and effective. It allows users to develop an optimized pin schedule by measuring the results of the contents of your pins – i.e. what’s being re-pinned, shared with other users, and liked or commented on. Tailwind will also keep track of industry trends for you, which will help you pin content that is popularly searched for and shared by other Pinterest users. This gets you visibility you might not ordinarily achieve on your own and increases your reach dramatically by offering relevant content at the apex of its popularity. Tailwind recently integrated with Hootsuite, making this powerful Pinterest platform even more essential in your social media scheduling routine. You can now work right within your Hootsuite dashboard to analyze and respond dynamically to your data results. Simply Measured has a variety of free (and paid) apps designed to monitor and analyze data from several social media platforms. They offer specific apps for Facebook fan page and content analysis, Google+ profiles, Twitter, Instagram and several other apps for popular social media networks. Marketed as the “easy social media analytics tool for serious marketers,” Simply Measured aims to please on multiple planes, giving users a broad picture of the success of their social media engagement. A particularly useful tool offered by Simply Measured is the traffic source analysis app which monitors the social platforms that drive the most traffic to your website. 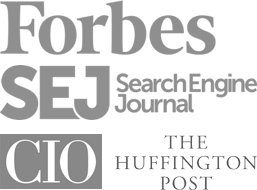 Combining the use of this specific tool with the other available analytical features effectively targets not only the optimal time to publish content, but which platform to publish on. Whether you use a free app or program, or invest in a monitoring service, taking a step towards fine-tuning your social media scheduling can produce exceptional results that maximize the marketing strategies of your business and convert more effectively and consistently. Find the perfect time to publish and you’ll soon be hitting the perfect time to buy when it comes to the purchasing preferences of your audience. Monitor the long-term results and effectiveness of your published content and ensure that, by posting on social media at the perfect time, you are reaching the right people at the right moment. Social media and small business expert, Katy Blevins, is an avid contributor to the team at NerdyGirl Writers and is also the working mom behind the blogs at Chaos & Kiddos. A lover of all things Twitter and entrepreneurship, Katy is a motivated writer serving the NerdyGirl team in multi-media partnerships while also continuing to build her own professional empire with her long-time business partner, Somer Anne. Single mom to a teenager and twin toddler boys, Katy excels when it comes to efficient marketing strategies that produce quality results quickly.